Thursday night, Necole and I went to the Schermerhorn Symphony Center to see B.B. King. Her Christmas present to me was a pair of fourth row seats, and I couldn’t have been happier with the gift. As we walked to the venue, I heard a George Jones song drifting from one of the honky tonks nearby. Only in Nashville will you find a symphony hall and honky tonks in the same vicinity. The song made me think of the upcoming concert at Bridgestone Arena, which sits a block away, that was supposed to be the last for George Jones. Dozens of performers were coming to send the Possum into retirement. Knowing that he was in the hospital, I told Necole that I hoped he would make it through this final tour. We made it to our awesome seats and watched an opening act before B.B. King came to the stage. He performs well for someone who is 87-years-old, but there were a few things that I noticed. The band does the heavy lifting of the concert. They performed for ten minutes before he was helped to his chair at the front of the stage. He tells a lot of stories between songs, which gives him an opportunity to rest. Also, the songs are usually cut short of their original length, and he doesn’t play all the way through. Please understand that these are not critiques. 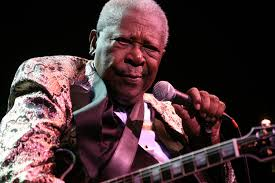 I was happy to see the King of the Blues and was happy that he is still able to perform. I just wondered why he is still performing. Does he need the money? Does he do it so the members of his band can have a steady income? Does he do it because he needs the music and the audience? It could be the latter because he stayed on stage long after he was scheduled to leave. The bodyguards came to get him, and, eventually, the band stopped playing. All along he talked to the audience and greeted fans who came to the stage. He needed the experience to continue. We, along with most of the audience, left while he was still there. We had seen the great B.B. King and heard his best known song, “The Thrill Is Gone“. As you can tell, it is a sad song, as most Blues songs tend to be. 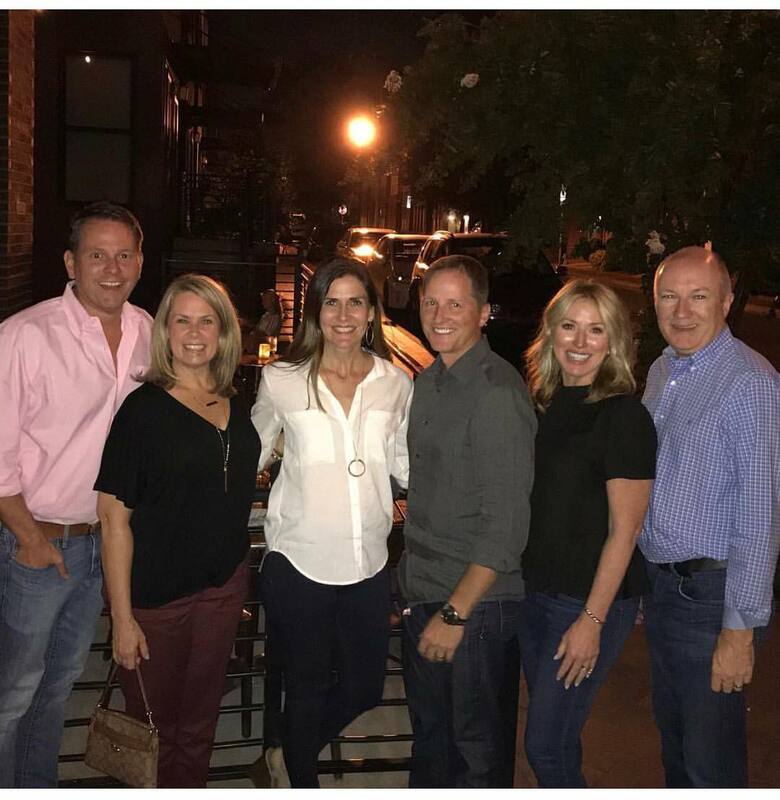 That’s one thing that connects Blues with Country, Nashville’s predominant sound. Friday morning, news came across the wire that George Jones had passed away. Tributes immediately hit the Internet and other ways of getting the word out. I thought of the conversation that Necole and I had the night before and about the singer that the world had lost. It has been documented that George Jones lived a turbulent life and that he was, through the opinion of many people, the greatest Country singer who ever lived. 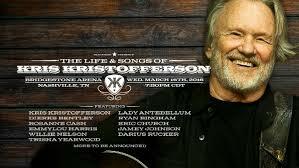 I don’t know where he ranks in the pantheon of Country, but I know that he epitomized the genre. He lived it, and he sang it. He sang the sadness that Country songs are supposed to be. The song that I heard coming from the honky tonk is considered by many to be the greatest Country song ever recorded. 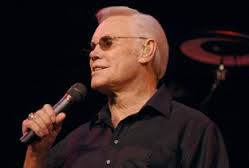 “He Stopped Loving Her Today“, written by a man in my hometown, is sung hauntingly by George Jones. You can hear the sorrow and the pain come through. Perhaps, he could sing that way because he could feel that way. Last night, Necole and I went to Bridgestone Arena to see Jimmy Buffett. The Parrotheads were out in the finest grass skirts, sailor hats and coconut bras. As it is with every Buffett concert, the atmosphere was tropical and festive. As Necole said, it’s like he brings vacation to the people rather than the people going on vacation. He went through all of the favorites, and everyone sang along with him. However, I noticed that several of Jimmy Buffett’s songs have festive music that covers up less than festive words. “Margaritaville” is about a man trying to forget a lost love. “He Went to Paris” is about the tragedies that an old man has seen in his life. 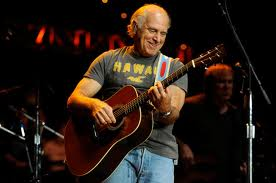 Even Jimmy Buffett sings sad songs, but he can also sing the sad songs of others. Near the end of a concert designed to be a beach party, he sang one of George Jones’, and he sang it in the arena where the Possum was going to have his last concert. That arena sits by dozens of honky tonks where sad songs by George Jones are sung every night.